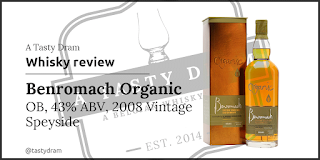 Benromach did a huge makeover for its core range in April last year. Out are the metal tubes, in are classy tubes with plenty of references to the stills and the lid serves as a bottle plinth and leaflet holder. The Organic expression is Benromach's tribute to a pure product since 2006. Back then they were one of the very few who considered an organic approach to distilling. Every step in the whisky-making process meets the standards of the UK Soil Association. Colour: Gold with a tiny touch of amber. The 2008 version seems to be a tad darker than the previous version I tasted two weeks ago. The whisky shows thick and slow legs on the glass. Nose: Again the virgin oak casks are omnipresent. Melted brown sugar with lots of vanilla flavours. Soft banana candy and a whiff of green banana. The nose seems less sharp than the 2013 edition to me. Water adds some orange blossom water. Tropical fruit juice with passion fruits. Be careful with the water. A few drops do the trick (bear in mind that this whisky has only 43% alcohol and is perfectly drinkable as such). Taste: The start is rather sweet. A creamy mouthfeel and a delicious little sourness unveil itself. Heavy wood flavours with a serious peppery twist and some caramel or fudge. Drops of water release some liquorice and the tropical fruits I had on the nose. The peppery notes have been cut back. Peach only adds to the sweetness. Finish: Some liquorice notes and traces of the tropical fruits form an oily coat in the mouth. It gets slightly drier towards the end. Price and availability: around €50 / £38 in specialist liquor stores. 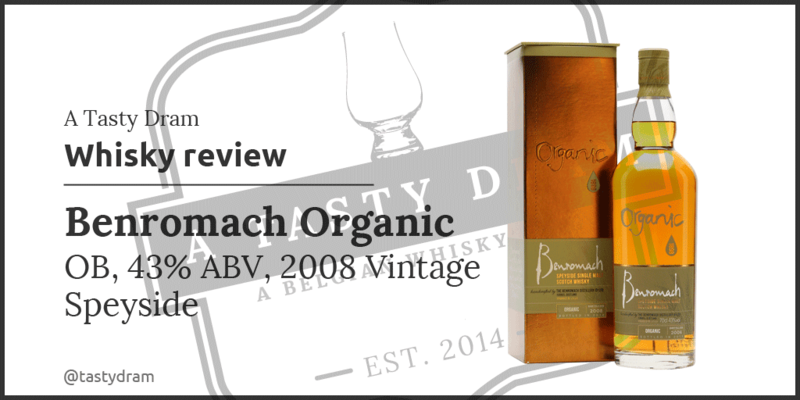 Benromach hit the mark (again) with The Organic. Instead of following the bulk of the industry, they choose to offer their customers full transparency with colourant-free, unchillfiltered whiskies and with an age statement. Or a vintage year in this case. 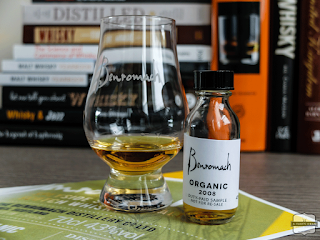 The Organic 2008 seems to be a better-balanced whisky than the previous edition. It's a highly enjoyable whisky proving fresh oak casks can deliver great stuff. 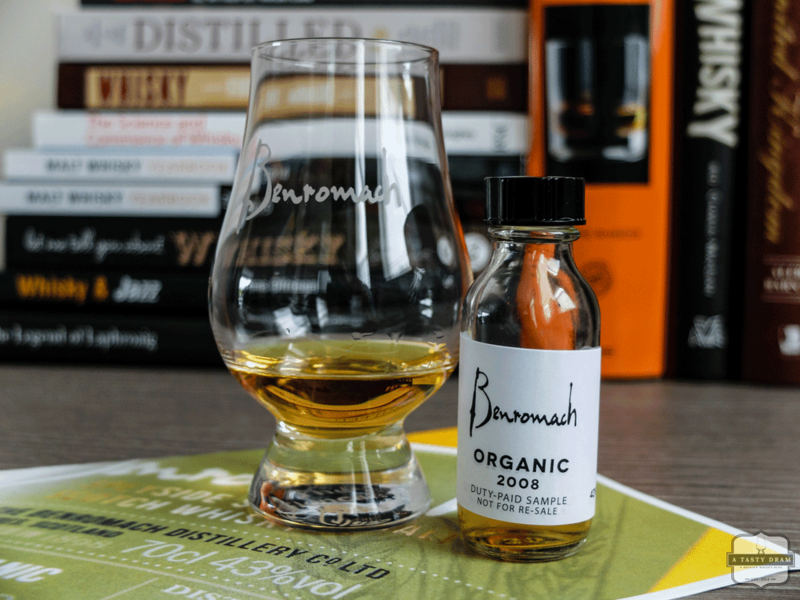 But is it a match for Benromach's majestic 10yo 100° proof? Nope, that whisky stays king of the Benromach portfolio. 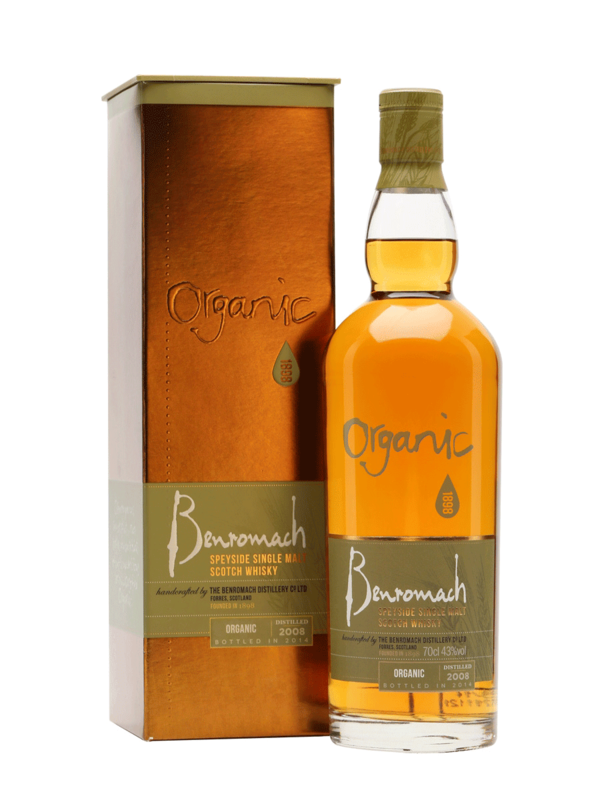 A sample of this whisky has been provided by the people at Benromach. Tasting notes and opinions are, as always, my own.